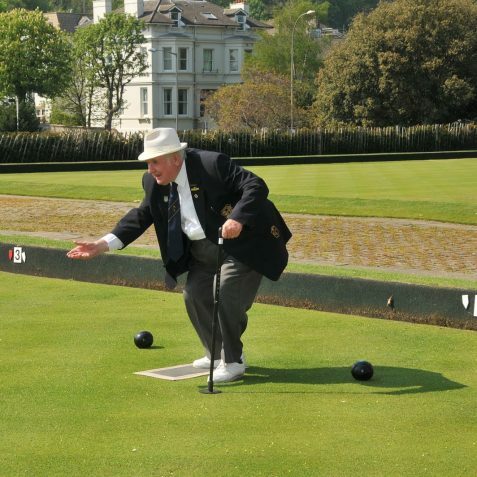 Green bowling is an old game. 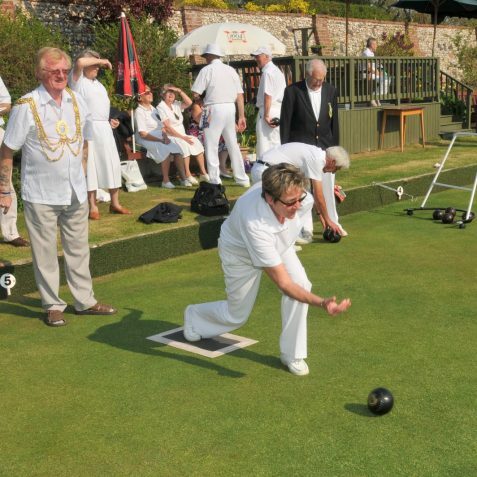 Records indicate that it was played on the Castle Green at Lewes in 1600 and also, according to ‘Godwyn’s Rental of Brighthelmstone’, dated 1665, it was played on The Steine that year and for many following. 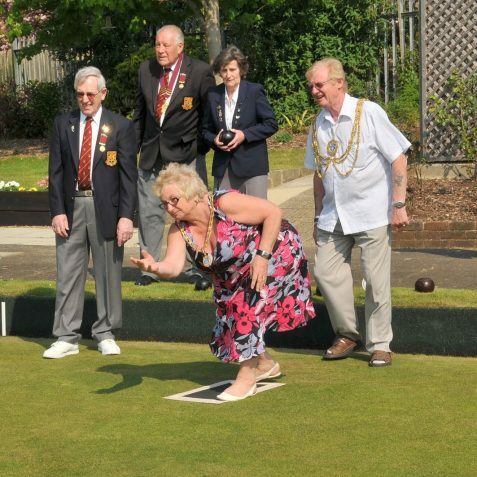 As these photographs here will show, bowling as a sport is very much still alive in the city today. 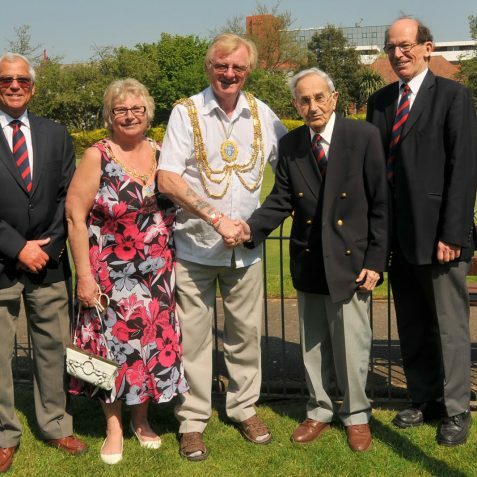 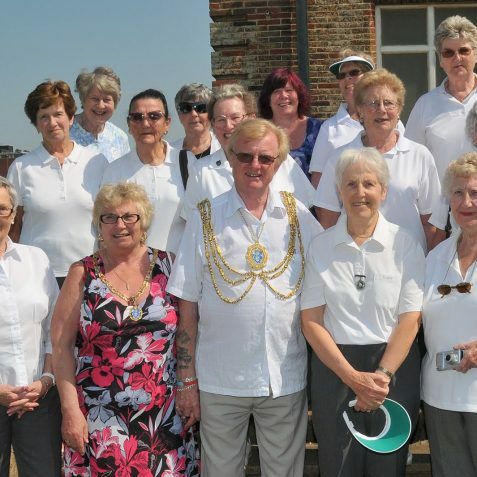 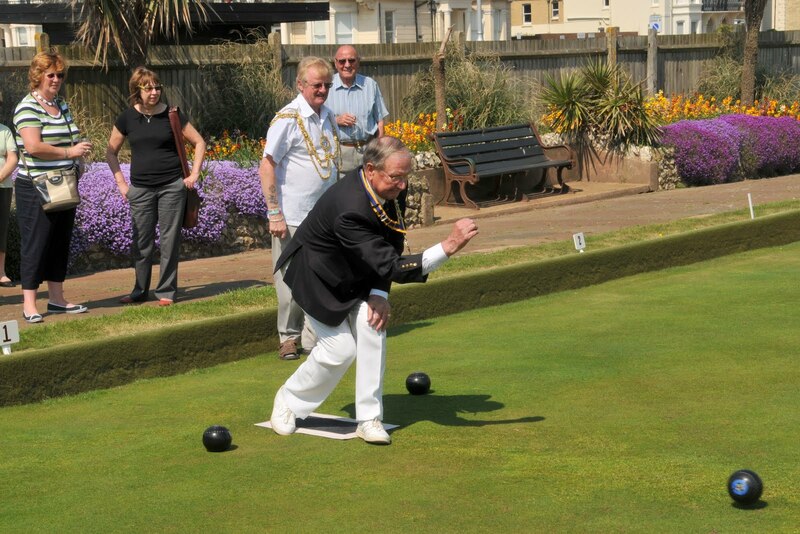 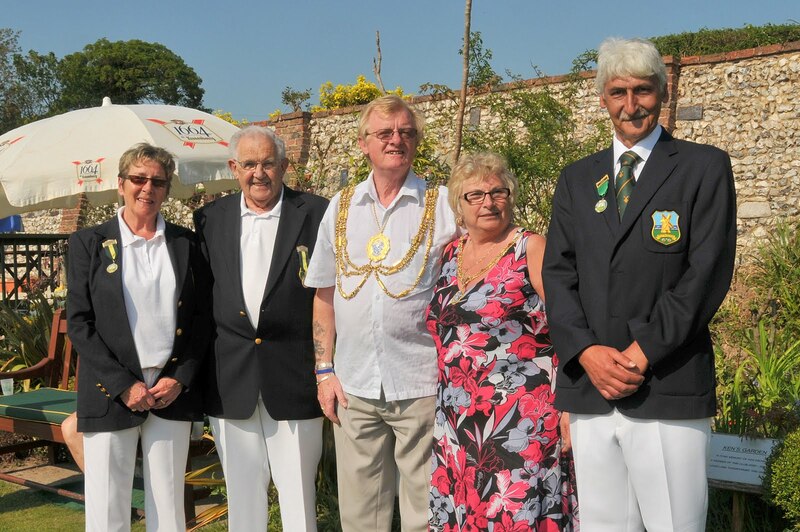 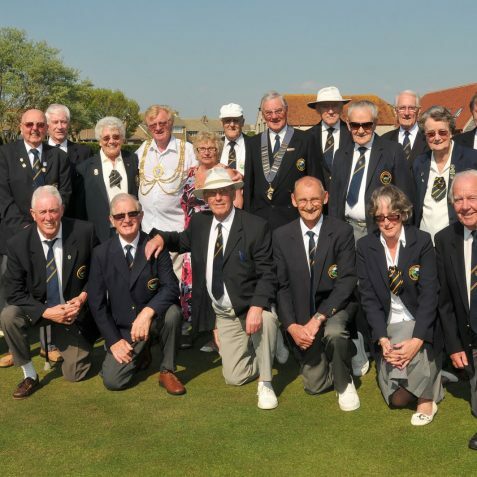 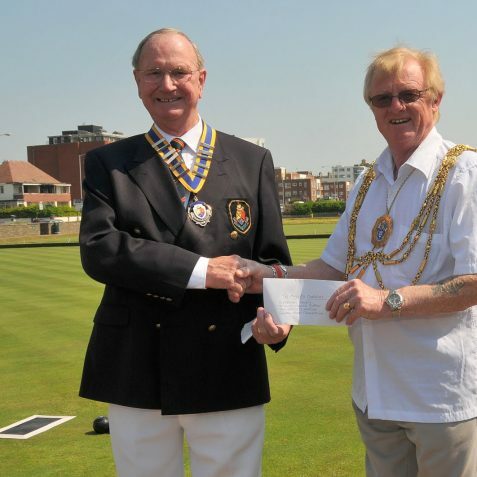 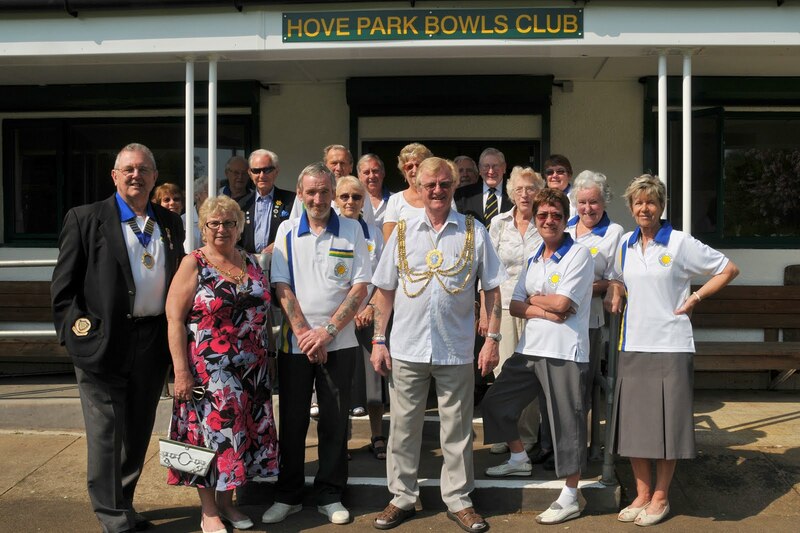 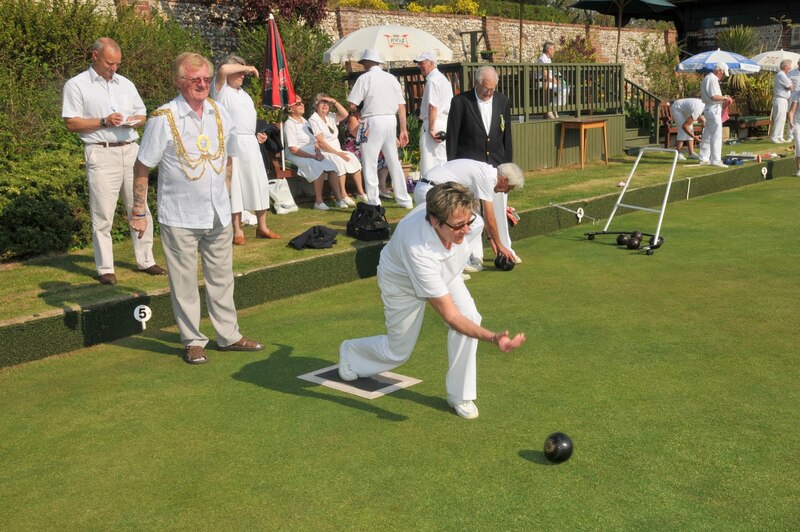 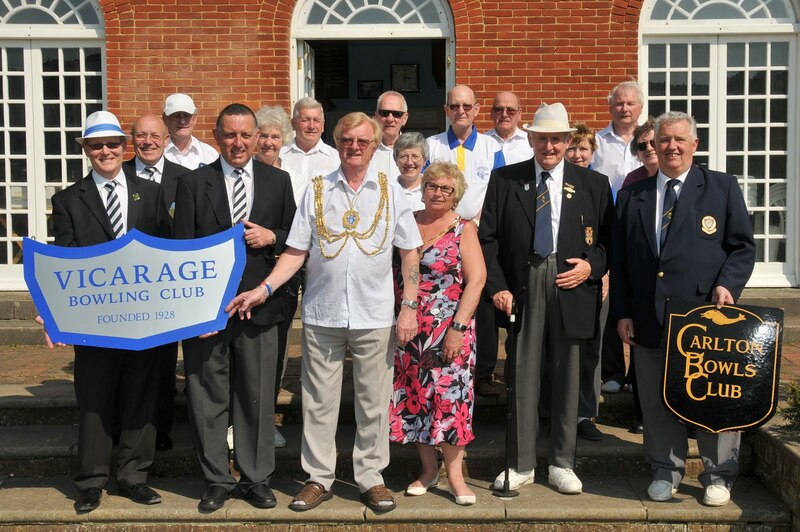 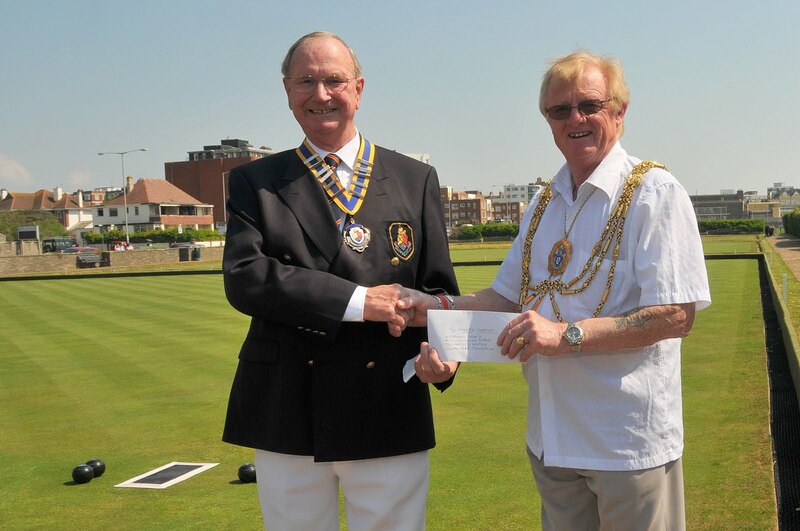 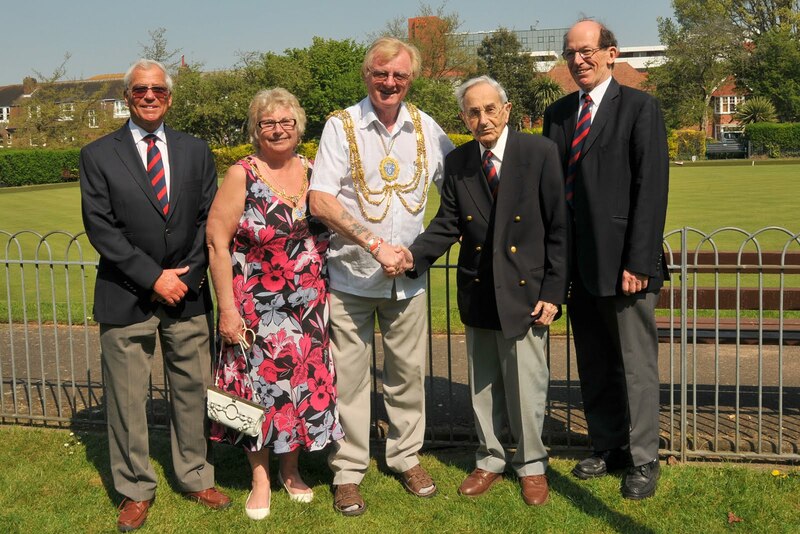 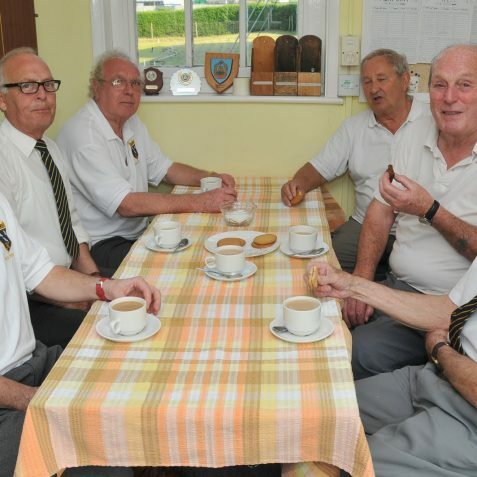 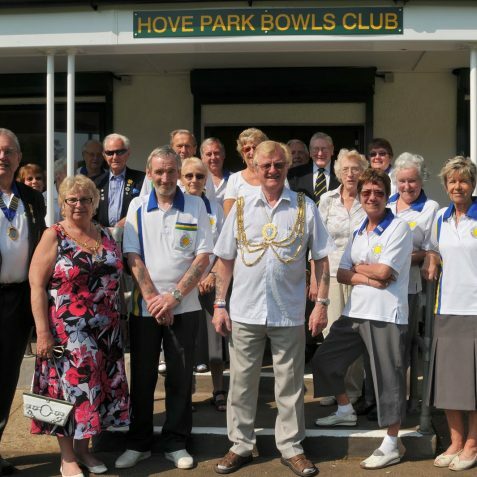 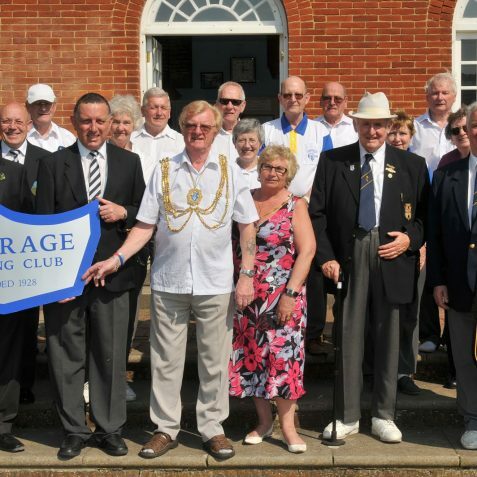 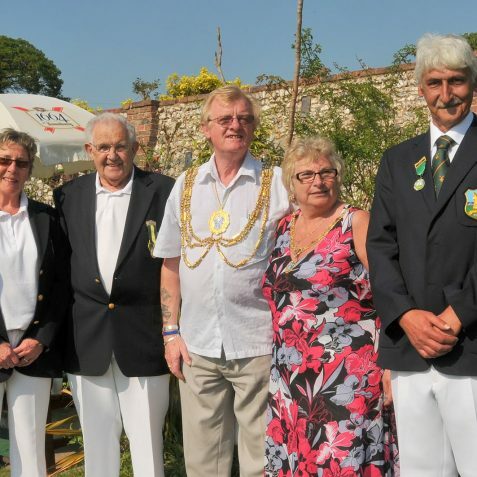 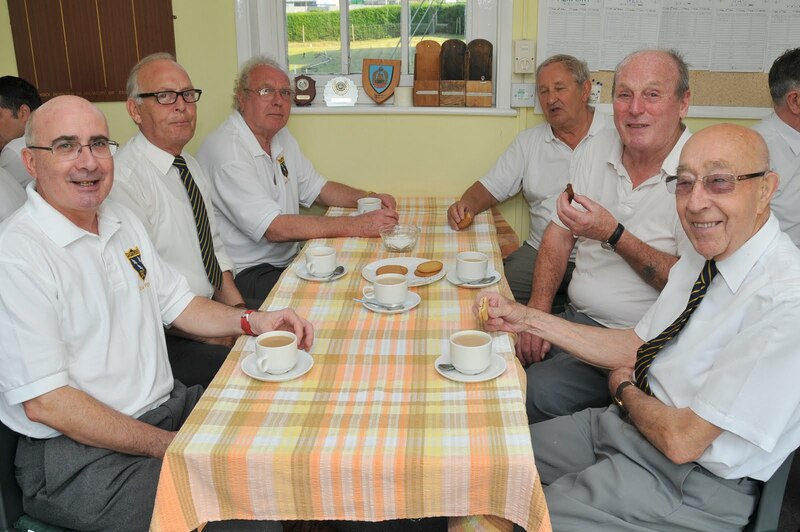 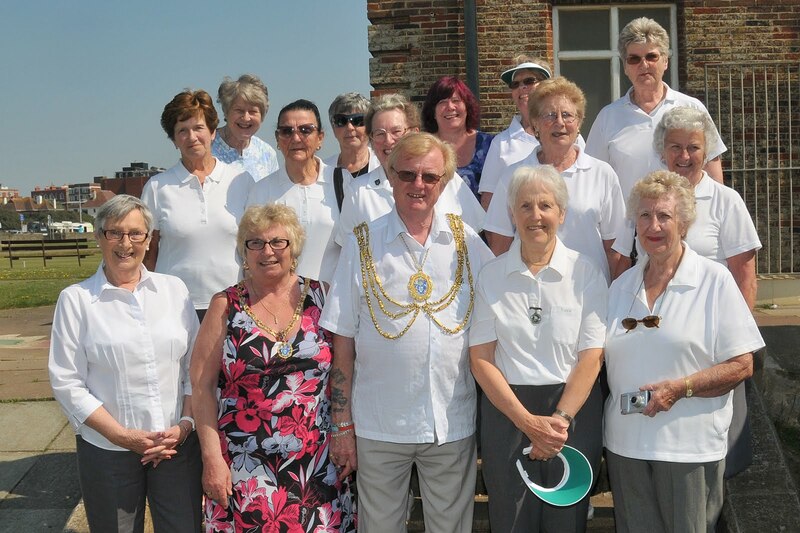 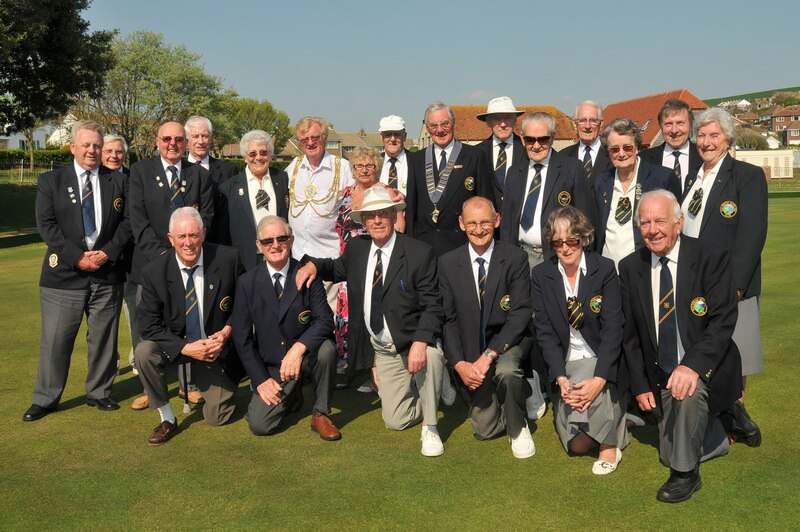 Every year at the beginning of the bowling season, the current Mayor of Brighton and Hove, this year Councillor Geoffrey Wells, makes a tour of some of the more well known bowling clubs in the city to wish them well for the coming season. 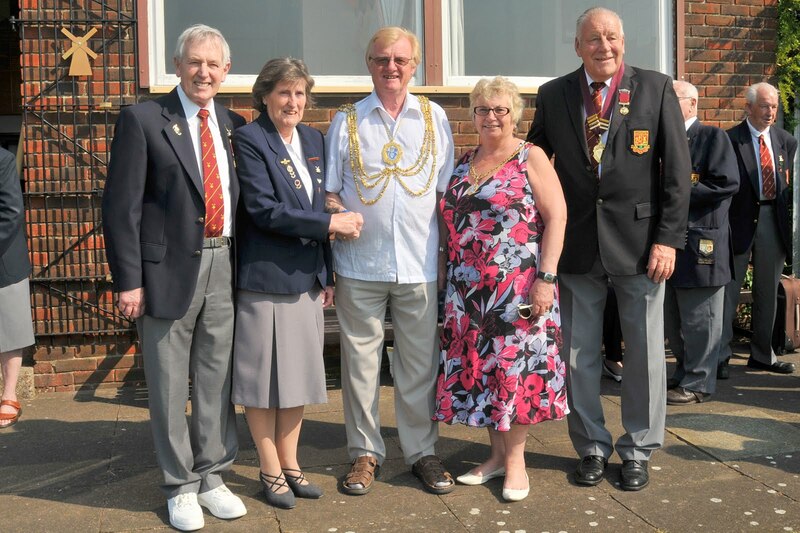 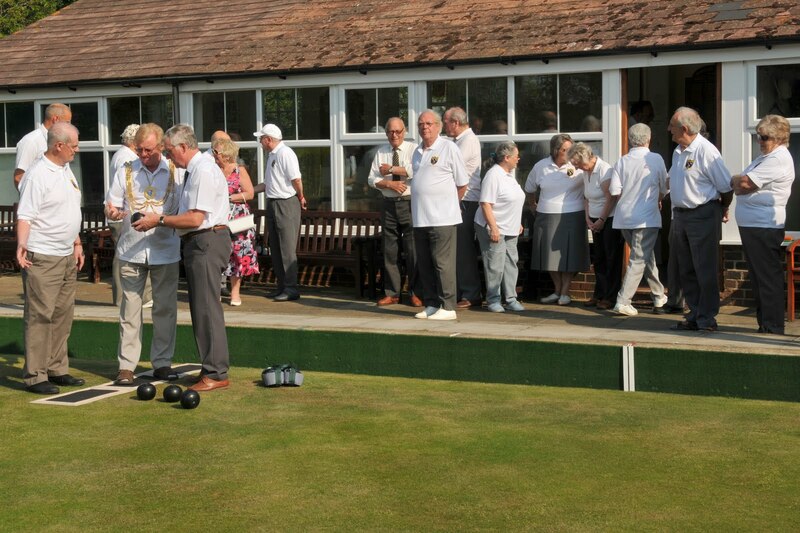 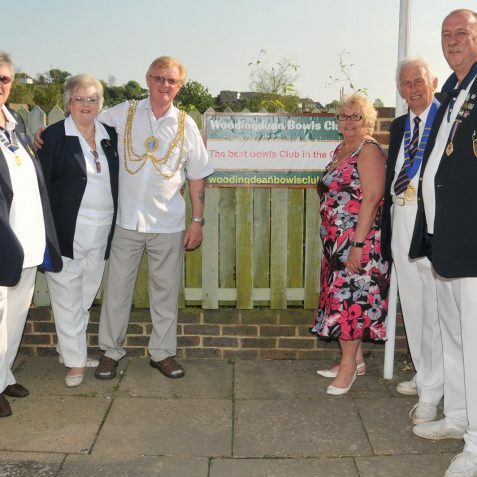 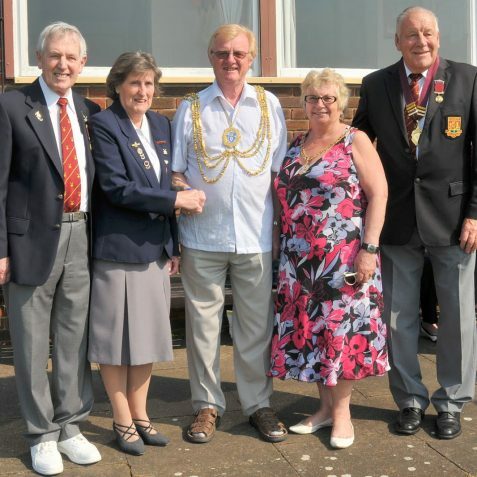 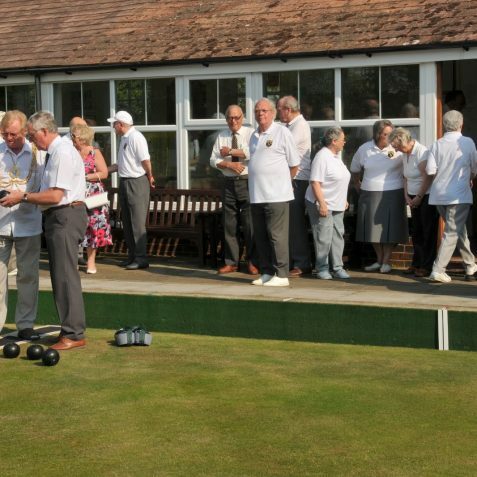 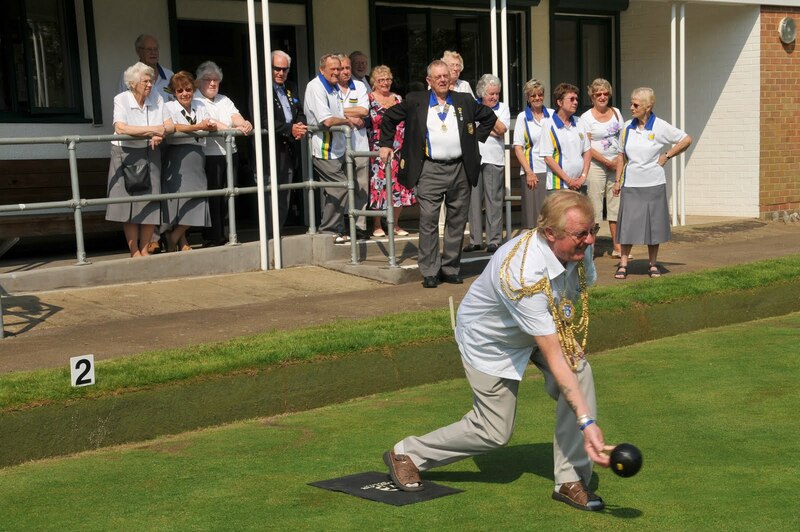 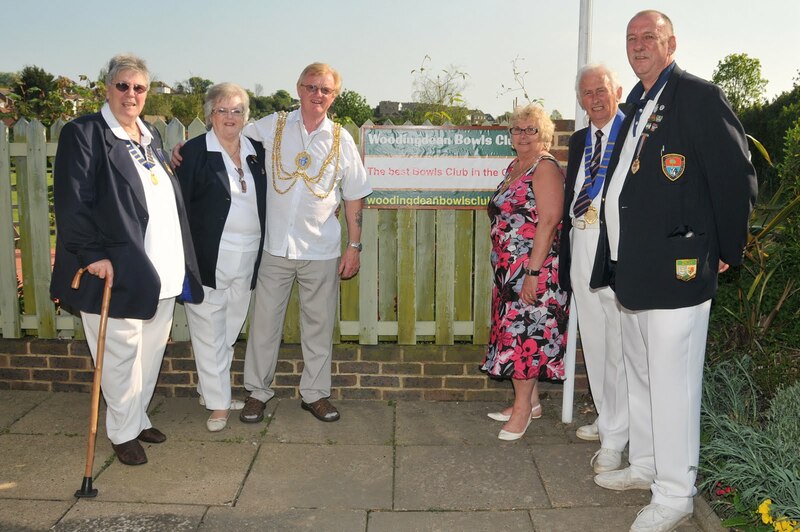 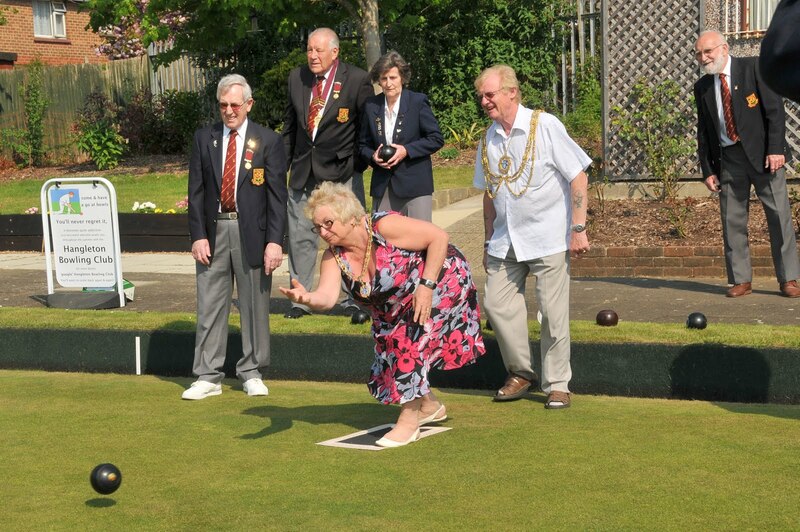 This week, on a gloriously sunny day, Councillor Wells and his wife Sally were welcomed and entertained at eleven different bowling clubs in the city. 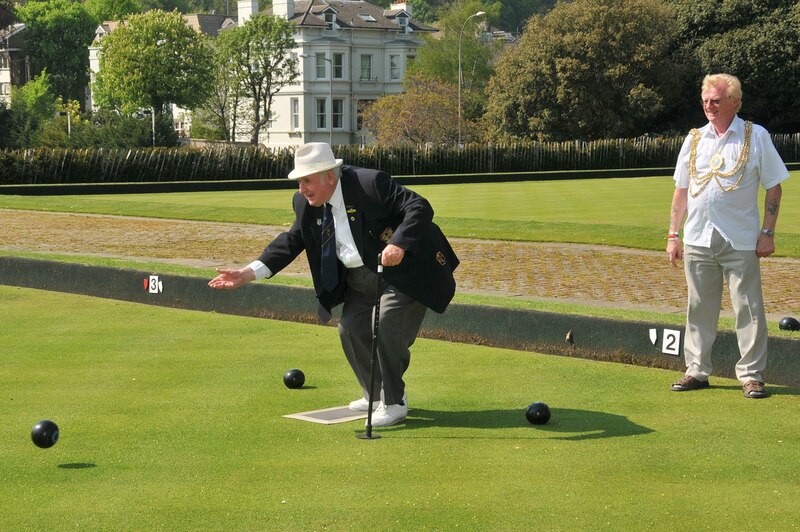 Bowls is a wonderful game and can be played by anyone of any age. 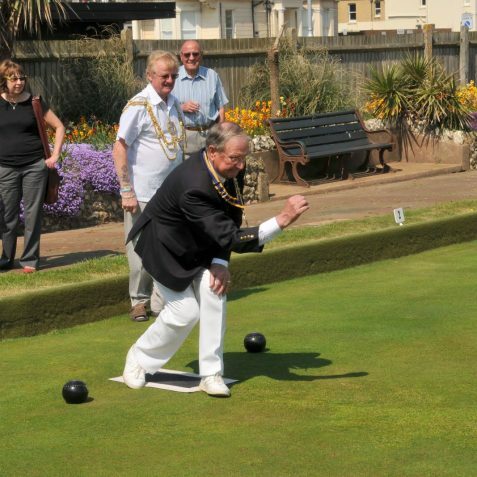 Brighton and Hove Council have a number of public greens throughout the city which are listed on their website. 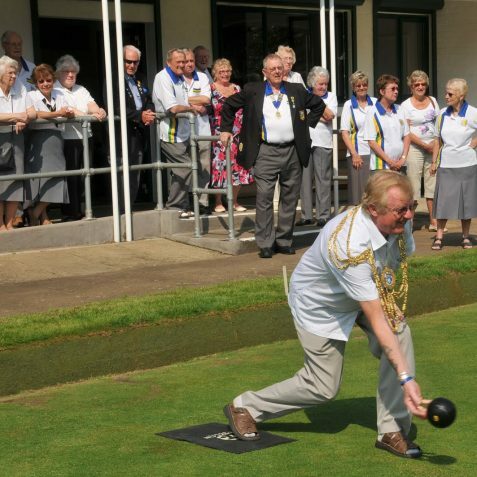 For those with a real interest in the game and would like to join a bowling club, just ‘Google’ any of the clubs named in the photos here.